The Rosebank and Mowbray Civic Association (RMCA) will now focus on occupying all the open spaces within its communities­. This was announced at an annual meeting held at the St George’s Grammar School hall in Richmond Road in Mowbray on Tuesday 23 October.Residents were encouraged to take advantage of open land and public facilities to host their events or have a time-out with their friends and families.It is believed that in this way they will be making sure their communities are safe and their facilities are put to good use.This is in aid of building unity among the residents, through socialisation.As part of claiming public facilities, the RMCA’s logo will displayed at the Mowbray Town Hall. 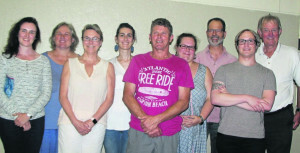 Executive members, from left: Frances Taylor, Louisa Williamson, Linda Gibson, Belisa Rodrigues, Dave Sivertsen, Barbara Dupuy, Yves Ducommun, Miriam Pedersen and Jonathan Hobday. The meeting was well attended. Executive members gave reports according to their portfolios, highlighting the need to improve communication among the residents using different platforms, engaging and encouraging young people to get involved with the council, work with the council to make sure service delivery is effective, and also continue to work with local Law Enforcement to reduce crime in Rosebank and Mowbray. Jonathan Hobday, chairperson of the RMCA, said in order to do this they need more manpower made up of well-equipped and fully functional structures.The main concern raised was that of development in the communities.Residents were reminded that although development is good, it should not come at the expense of their area. “I would like to turn now to the need for continued activism and improved community organisation. Major changes are happening with increasing rapidity to our area, with developments on both commercial and residential fronts. “We have been deeply concerned to ensure that such development takes place in a sensitive and appropriate way and does not destroy the ethos and fabric of our suburbs or undermine its environment and infrastructure. 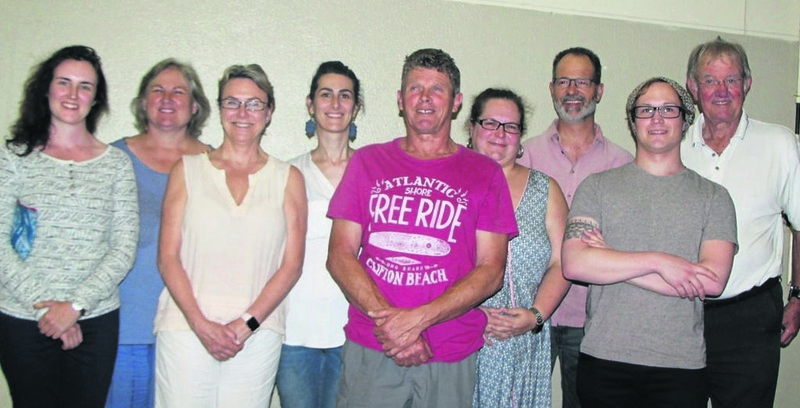 We are not against development per se, what we want is appropriate development that coexists with and complements what should be preserved and sustained and takes places in the parameters of City Council regulations,” said Hobday. They are joining Louisa Williamson, Yves Ducommun, Jonathan Hobday, Miriam Pedersen, David Sivertsen and Barbara Dupuy. Taylor said she is looking forward to a productive financial year for the RMCA. She said she is committed to serving her community because she has seen the role it plays and understands the need for young people to get hands-on. Her interest in civic matters lies in development and empowering the youth. A new constitution was also launched at the meeting, with Hobday saying it was about time they revised the constitution to make it suited to the times. Residents in attendance had a few suggestions and later approved the new constitution. Ward councillor Paddy Chapple applauded the civic association for its work and encouraged residents to also get involved. Chapple put emphasis on the use of social networks to bring the community together and get people to talk about issues affecting the community. He made an example of a WhatsApp group that has proven to be a success when reporting breaking crime. V For more information about the new constitution and becoming a member of the RMCA, email secretary­@rmcivic.org.za. This is in aid of building unity among the residents, through socialisation. As part of claiming public facilities, the RMCA’s logo will displayed at the Mowbray Town Hall.